Some political scribes may have already started writing the political obituary of the APC Party. 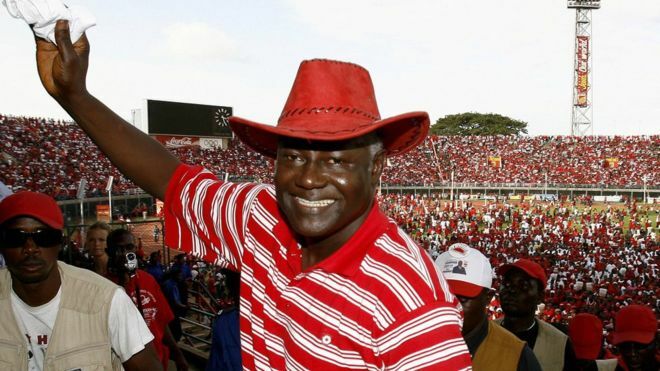 Amidst the recriminations, accusations and several theories postulated to identify the reasons for its failure to win, a significant part of the blame was showered on the Leader and chairman Ernest B. Koroma. To his credit, Ernest rightfully and humbly shouldered the blame for the loss, and he duly apologised to the party faithful. Although many had hoped that he would resign after the elections, some feel that Ernest has stayed on, so as to right the wrongs for which he was the senior midwife and architect. The loss may have hurt his personal pride more than most; because it happened under his watch. Losing from a winning position was like snapping defeat from the jaws of victory. Perhaps, this is why he wants to stay and engineer a return to victory. But again, hubris might be at play here. The last convention peeled off the veneer of the battle of the intra competition between Bombali and port Loko membership within the party. Many had hoped that it was the turn of the Port Loko lineage to take the mantle, with the “Apprentice” Alpha Khan at the helm. That’s what apprentices do when their bosses depart. 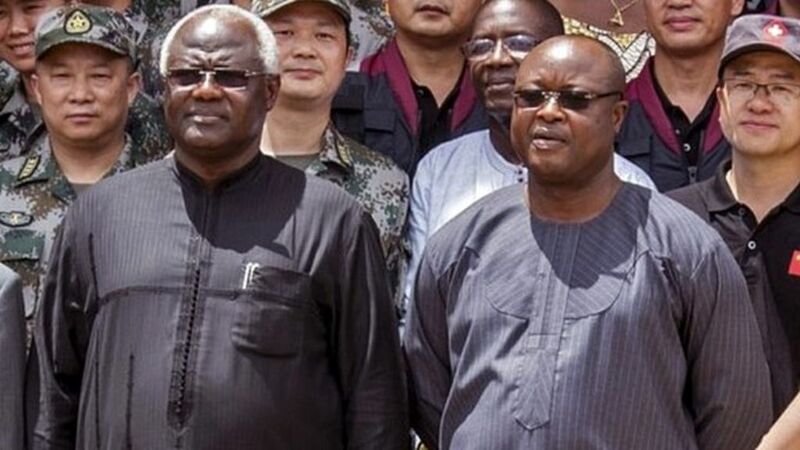 But since Sam Sumana paid homage to Ernest and some big guns in Makeni, the rumour mill has been in permanent overdrive. There is no doubt that Sam Sumana took away the whole of Kono District with him, when he was unceremoniously sacked from the party. We cannot minimise the impact this had on the outcome of the election results. But we need to acknowledge that Sam’s in Kono was rooted in anger, sympathy and protest; which are not only emotive but volatile. That is why when Sam was reportedly toying with the idea of backing the APC in the run off for the presidential election; the seething anger was understandably palpable. His followers were made to look like the outsiders who wept more than the bereaved. We saw photos and video clips of youths burning T-shirts with Sam Sumana’s picture on social media, to demonstrate their anger for his rumoured “defection”. Et tu Brute and a thousand deaths come to mind. Betrayal is the only truth that sticks. But as we all know, nothing is permanent in politics. A day in politics is a long time and 2023 is a long way off. 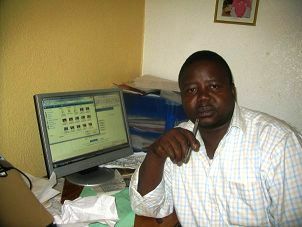 That anger and the notion of the outsiders weeping more than the bereaved resurfaced after the recent visit to Makeni. Sam has repeatedly maintained that his visit was to make up with his boss. 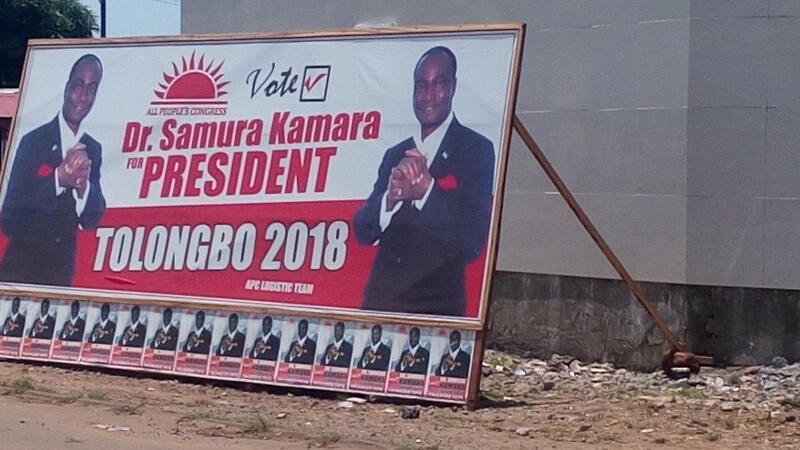 But others and especially his supporters in Kono have been spitting feathers; threatening to “switch” their loyalty to the SLPP, if Sam should jump ship; or do the prodigal son U-turn. But as rumours go, let’s take a hike on the hypothetical road map of the APC leadership, come 2023. There were over 20 aspirants who vied for the flag bearer position of the APC, until Ernest wielded the axe. Prominent among them were heavy weights like Joseph F. Kamara (JFK-former Attorney general), Dr. Kalfala Marah (former Minister of Finance and Economic Development), Alhaji Minkailu Mansaray (former Minister of Mines and Mineral Resources), Captain Alie Pat-Sow (former Minister of Fisheries and Marine Resources), Alimamy Petito Koroma (former Minister of Works, Housing and Infrastructure,) and Mr John Bonnoh Sisay (Chief Executive Officer (CEO) of Sierra Rutile Limited). Will these throw their hats behind Samura, or mount another challenge? Will Ernest have the same authority to rein in their support for his “chosen one”? It looks obvious that the APC party will have a rocky road to traverse in the years ahead, as they try to regroup and present a united front. Can you smell blood on the carpet here? So where does Sam Sumana come in here; if the rumours are to be believed? Will the APC party choose Sam as forerunner, and gamble on the eventual divisions that will ensue in Kono if Sam “defects”? If the people in Kono continue to feel betrayed by Sam, will they pay him back in kind with their loyalty? So who stands to gain from these APPARENT cracks in the APC party? Many see the flirtatious bromance between Ernest and Sam as a very risky playground politics. This Entente Cordiale may run the risk of further splits within the APC party. There is no doubt that the SLPP would have noticed these potential cracks, and may take full advantage of these seeming chinks in the APC armour. By the way, Maada Bio has promised to build a University in Kono. For the sake of discussion, what will happen to C4C, if Sam decides to go red again? What will Samura and his supporters do, if he is dethroned as a one season wonder? Will those past flag bearer aspirants like JFK, who was presumed as the man with the best chance to succeed Ernest, just sit back and allow their previously expressed political ambitions to die from unnatural deaths? Will Ernest, who some feel had betrayed them still carry the gravitas to keep everyone singing from the same hymn sheet. I can’t wait to see the choir group in full voice. With the APC trying to navigate its way out of, or through the meandering waters of the Commission of Enquiry, you may be forgiven to think that the APC has enough on its plate. The next leadership contest may go down as one of the biggest cross roads it has faced in its history. The party has an enviable record of seamless transfer of leadership in its ranks. I know that this is hypothetical, and as dormant as the contest for the leadership may appear at present, the road to 2023 may prove to be rockier than it looks. 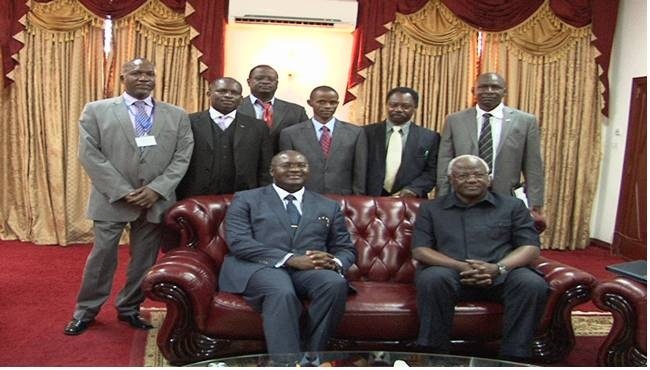 In the absence of Ernest Bai Koroma, has anyone got the nuance to unite the party together as one, at the moment? On the other hand, Sam Sumana is known to play his cards close to his chest. He has fine-tuned the art of leaving his opponents guessing; a trait he may have picked up from Orbai Koroma. But as he continues to keep his followers second guessing his next move, does he also run the risk of sleep walking the C4c into a political coma? Is Sam about to saw off the branch he is sitting on? Sam should know that the wind that exposes the chicken’s nakedness blows from the back. As for the APC saying that it will not attend the COI “until certain conditions are met”. Let us remember that “An Umoufia man does not refuse a call,” “He may refuse to do what he is asked; he does not refuse to be asked.” The APC must pride itself on the generosity and willingness to listen. Irrespective of our political differences, Sierra Leoneans all over agree that CORRUPTION IS KILLING OUR COUNTRY AND IT NEEDS TO BE TACKLED. But by asking its members not to attend the COI, is the APC running the risk of being seen as the party that is against this fight? Does it run the risk of being labelled the party that is pro-corruption? A man is innocent until proven guilty. By refusing to attend, is the APC admitting collective guilt, even before it is found guilty? Only the guilty are afraid. APC should be careful before it is seen as the Party that is corruption friendly. There are many who may sympathise with the APC stance. However, refusing to attend may not be the cleverest position to take. There have been many COIs in the past, going as far back as the days of Pa Sheki; ask Victor Foh. Some of us never knew that EBK conducted a COI on assuming power, and not many people noticed then. Victor Foh was banned from politics when voucher gate was instigated under Pa Sheki; only for EBK to reinstate him to even VP status. The late Tejan Kabba was banned from holding public office after his days with SLPMB, but went on to lead our country out of oblivion from RUF. With the exception of the NPRC, almost all incoming governments had conducted COIs, as if it is a ritual on assuming office. Some of us even see COIs as political a whitewash with no effect. But never in the history of our country or the life of COIs has any individual or political party ever REFUSED to participate. Irrespective of any legal merit their argument may carry, the APC should think twice about how they go about their protest. If the average voter is led to believe that the APC DID NOT SUPPORT THE FIGHT AGAINST CORRUPTION, 5 years is not long enough to forget. You may have just handed the SLPP another vote winning mantra, come 2023. It is one thing to win your base, but it takes a whole country to win a general election.